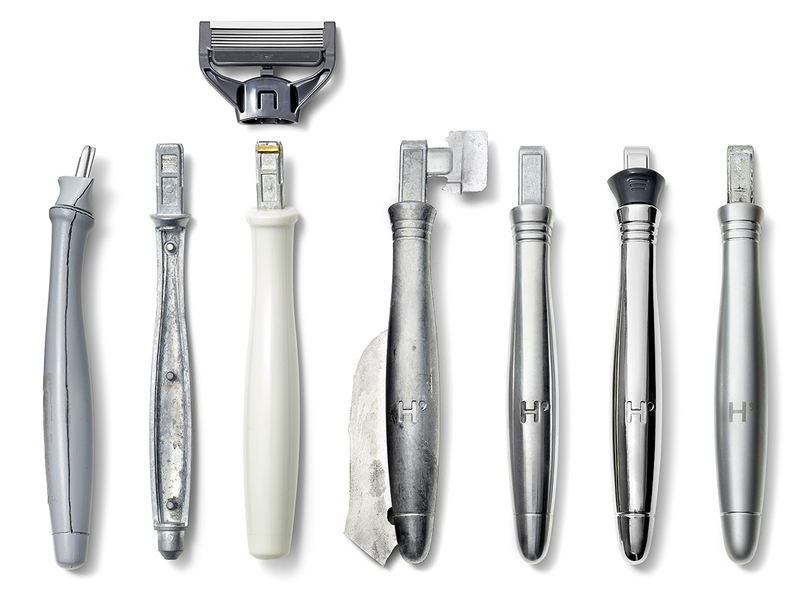 Harry’s was born out of frustration of having to overpay for juvenile-looking shaving products. In a industry dominated by just a couple of heavyweights the plan was to get back to basics and provide well-crafted, quality products for guys at an affordable price. Boy, has that plan worked. 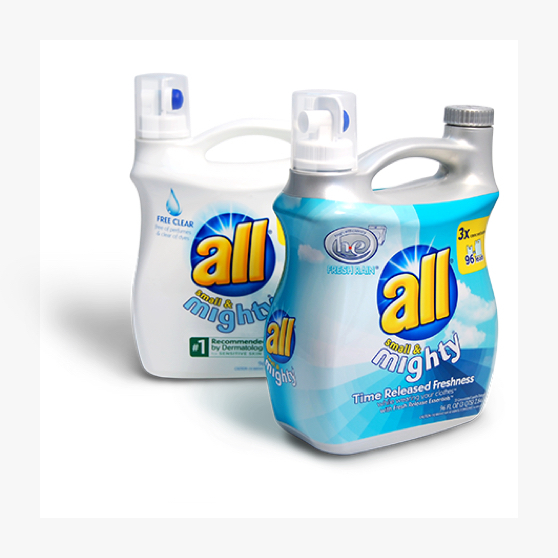 As the brand has grown and built their in-house team we continue to work with them on future product introductions and innovations. When Prime Studio came on-board with Harry’s they had just 2 employees - Jeff and Andy, the founders. We worked with them and the team at branding agency Partners and Spade to develop all of the initial launch products and packaging. Along the path to launch we also connected them with prototyping and manufacturing resources and intellectual property attorneys. They were new to the product development process so they appreciated our guidance. We even went to Asia with them a week before Christmas to check all the tooling was up to spec. As usual we started by analyzing the competition - by shaving with their products, comparing weight and balance and analyzing ergonomics. Stylistically we looked to the past for inspiration as well as to other categories. 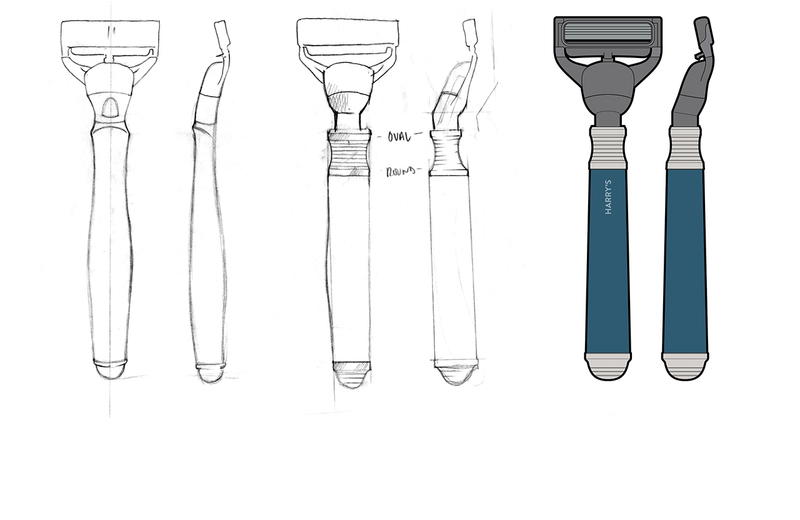 Designing and iterating quickly, we produced prototypes that we could test on our stubble to assess performance and ergonomics. We invested a lot of time subtly sculpting the handle shapes and ensuring the weight distribution was perfectly balanced. So, although the handles might look simple on the outside they were carefully engineered on the inside to feel just like an extension of your hand. The minimalist paperboard packaging (with graphics by Partners and Spade) is the antithesis of the industry standard clamshells and blister packs. And we designed the starter kit box so that when the consumer receives it (for many, their first physical touch point with the brand) it seems like they have just signed on for an affordable luxury. 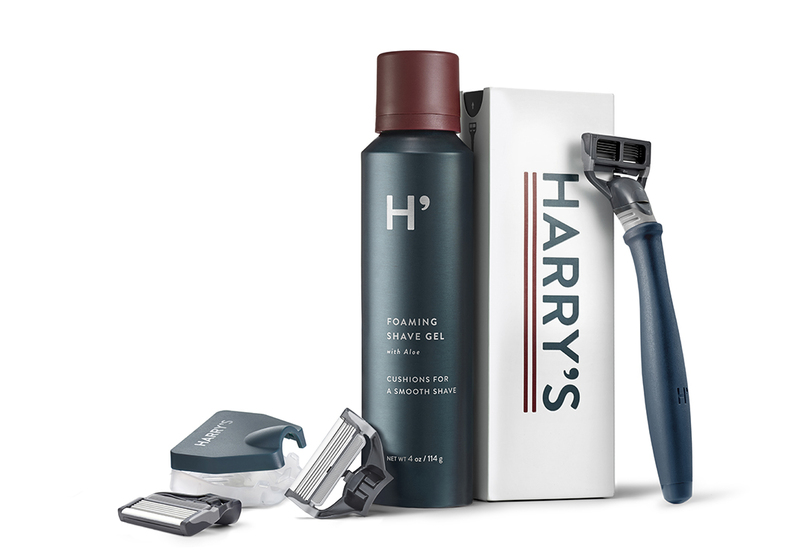 Harry’s quality products, provided at an affordable price due to their direct-to-consumer model, have certainly tapped an unmet need and the brand has grown phenomenally. Less than 2 years after launch they were able to purchase their own German blade manufacturing partner and the close relationship with their customers means consumer feedback goes right into future product development. 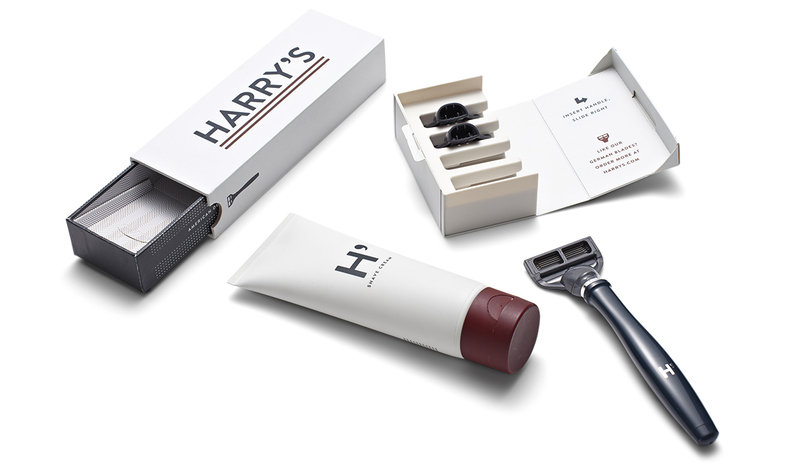 Harry’s was an upstart that is fast becoming a big player in the shaving industry. 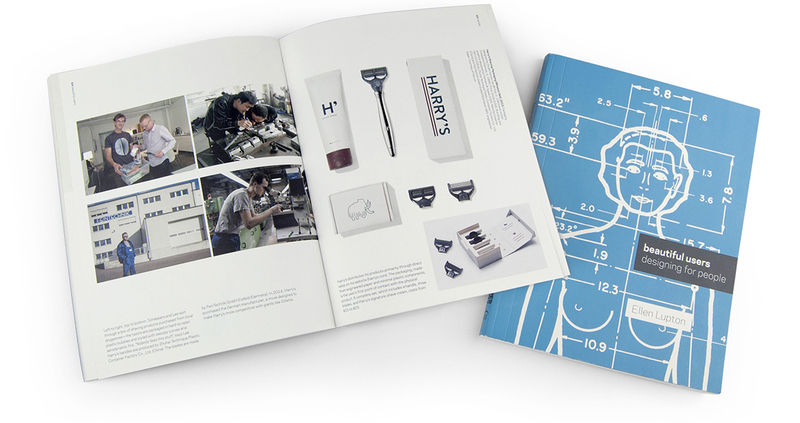 The Harry’s story has been noticed by the Design community as well, and the exhibition and book “Beautiful Users : Designing for People” by Ellen Lupton features many of the original sketches and prototypes developed by Prime Studio.